Fahad joined EAA in December 2012 as the director of administration and finance, where he successfully set up the foundation’s management system and was involved in developing its first strategy plan and three- to five-year business plan. 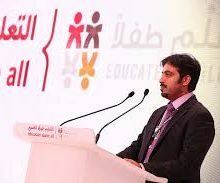 Fahad is active in the foundation’s resource mobilisation plan and leads the establishment of EAA’s international entities in the United Kingdom and the United States. In January 2015, Fahad was promoted to Deputy CEO, reflecting the valuable role he plays at EAA. Prior to joining EAA, Fahad worked at Qatar Foundation (QF), where he was responsible for the finance and administration of a QF-sponsored mega project focused on the aviation and aerospace industry and involving the construction of a ‘city’ on nearly 2,000 hectares of land. As acting managing director for the holding company established to plan and operate this city, Fahad was responsible for the management of the entire project. Before QF, Fahad spent approximately 10 years in the retail, international, and corporate banking areas of Qatar National Bank (QNB). His last few years at the bank found Fahad controlling the international branch initiatives of QNB, including the OPEX and CAPEX control of some of QNB’s largest overseas operations. Fahad has a BSc degree in business administration with concentrations in accounting and economics, and an EMBA from HEC. Fahad is an active sportsman, having played professional tennis for Qatar.